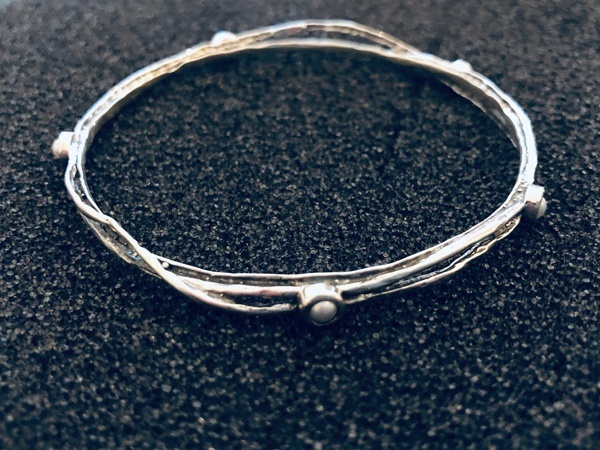 This interesting sterling silver bangle measures about 1/4″ across, and the opening is about 2 1/2″ inside diameter (for a regular size wrist). It has five small white pearls set around the bracelet and it is made in the Israeli studio of Tamir Zuman. The bangle is slightly oxidized to provide contrast.